Now with FetishLauncher! This custom window launch bar replaces the launch buttons SOE added to the XP window. Its compact, completely hideable, resizes like a hotbar, and includes buttons for all the Custom Fetish windows. Access it from the "L" button added to the XP window. Now with Enhanced ClickCures! The original ClickCures just got better! The entire system has been overhauled to allow for announcements by cure type to Group, Raid, Tell, and a custom channel, all from a centralized window. Settings can be temporarily changed on-the-fly while in-game, and defaults edited out-of-game via Notepad. Settings apply to Player, Group and Raid window ClickCures. Now with RefreshFilter! Ok not exactly new, but working and enhanced. Accessed through FetishCentral or via the Maintained window "R" toggle button. 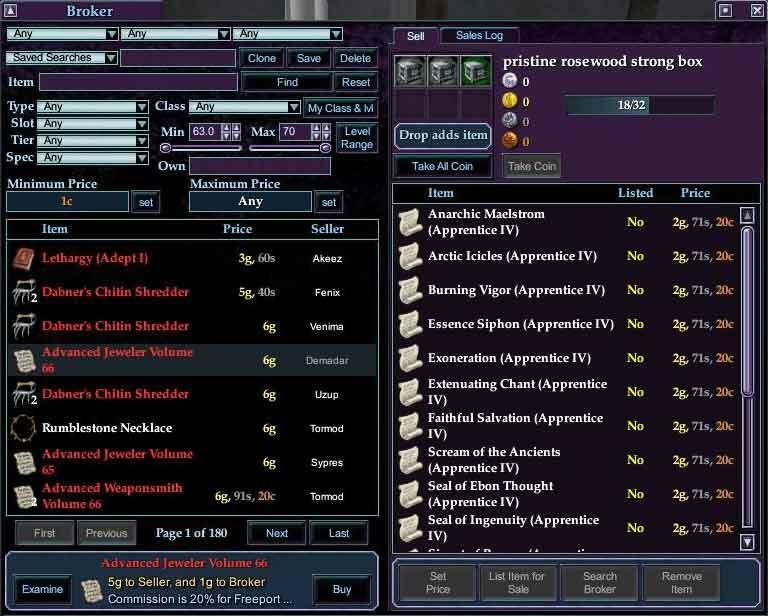 Custom filter Maintained Effects with up to 6 ability names while in-game, or load one of the 7 presets (customizable out of game). Now with Buff Immunity Timers! Displays immunity progress bars for a single buff name on up to 5 separate targets. An alert and refresh button appears when a target is no longer immune. Now with ClickAbilities! RaidAbilities are now available in the Player and Group windows (International Friendly). 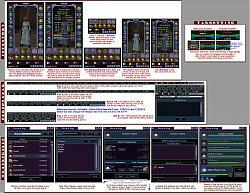 Fetish Nightfall is the first complete "splash screen to logout" reskin and functionality overhaul of the entire EQ2 UI with too many features to list here. Visit the links above for a comprehensive feature list and technical support. 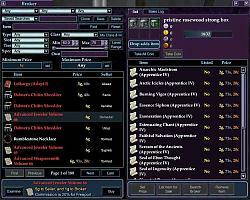 Nightfall is the first Fetish "Motif", designed to be easily updated with new graphic and texture "Themes" with minimal XML editing. Alternate themes are available with more being added slowly. I had to format my drives and change my os (reboot loop) - when I reinstalled from scratch I can no longer find my threat meter or do any reforging - both of which worked before the installation of win7. 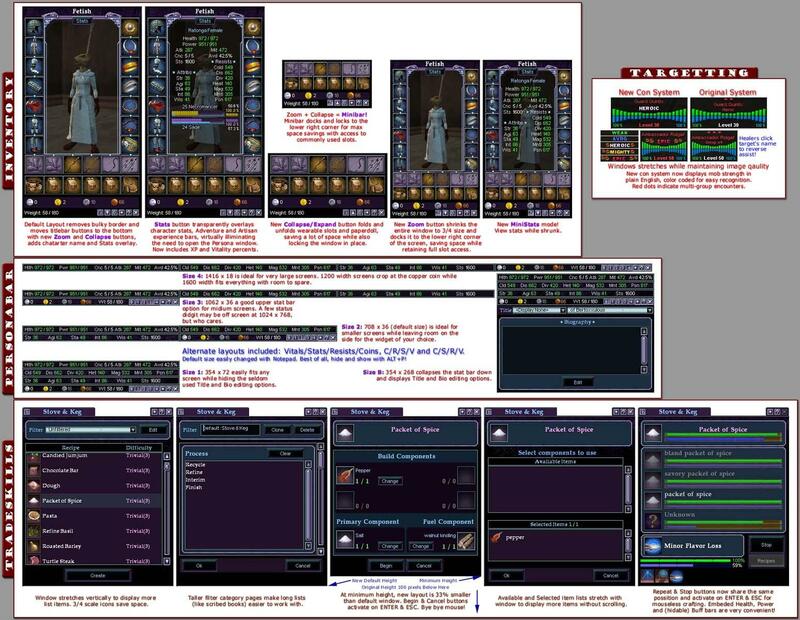 Can any one tell me the files I need to have to see the threat meter and what I am reforging? Or tell me which update they were in - as I KNOW I was using both last Friday and the round threat meter with melee indicator was so tidy and I have all sorts of things I want to check for reforging? <3 thanks for any help anyone can give me! ok found threat meter - now I've lost the character screen / mercenary window as well as reforge - and I deleted everything I could find on fetish with the mercenary/reforge as words. PLEASE! which file is it that blocks me from seeing these so I can delete it? Last edited by ohohterri : 04-18-2012 at 06:11 PM. Last edited by karmaiou : 10-26-2011 at 05:53 PM. Anyone out there keeping up this great UI by making a patch for gu61? Seems the author forgot to list the install instructions for the computer illiterate. Anyone know how to install patch 3.5 for GU60? I have the latest version of Fetish (11.9) but my character window wont open. I get the error message. "The Main HUD Persona window is not compatible with the current client". I MISS YOUR INTERFACE! FIX IT! I WILL DONATE! PLZ! Any possible ETA on a patch or updated version to be GU60 compliant? 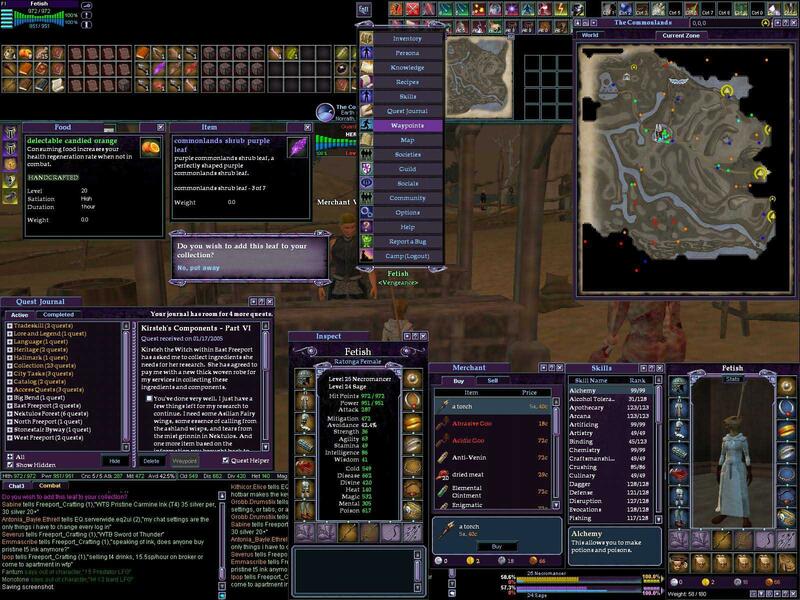 Originally posted by Rothchild Delete eq2ui_mainhud_persona.xml and run patcher. 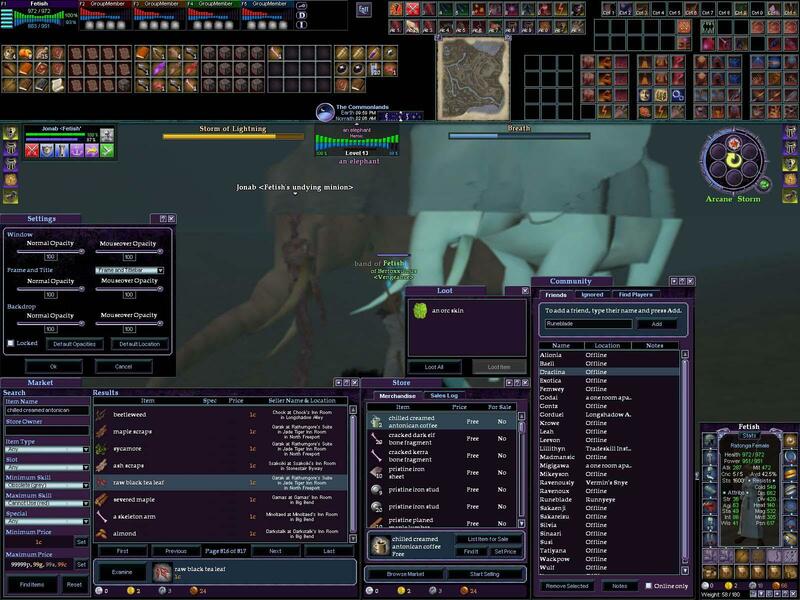 Delete eq2ui_mainhud_persona.xml and run patcher. Thanks, this took care of the problem for me. Thank you. I found part of my problem. It seems that the file was located in two places on my hard drive. Why? I don't know yet. After deleting both files and relaunching, the problem was finally fixed. Thanks again. I can try - find your fetish ui directory, something like c:\programs\sony\everquest2\ui\fetishnightfall\ if you didn't specify another place when you installed the game. Then look for eq2ui_mainhud_persona.xml click on it with your right mouse button and choose "delete", then "confirm" or "yes" and run eq2.exe which probably is on your desktop. It should automatically download the default file for you during patching. RE: The MainHUD Persona window is not compatible with the current client. Please upgrade your UI mod to a compatible version or revert to the default UI (/loadui default). Can someone tell me how to fix the problem, i.e. how to find the .xml file I may need to delete or change, and how to run patcher if applicable. Basically what I am asking is step-by-step instructions for frustrated newbies. Last edited by darupe : 05-01-2011 at 12:35 AM. Does anyone know of a quick fix for the error message when trying to view the Persona window after the latest update? The MainHUD Persona window is not compatible with the current client. Please upgrade your UI mod to a compatible version or revert to the default UI (/loadui default).